This One-Way Trip To Mars Is Brought To You By ... : The Two-Way The company Mars One has launched a program that could allow you (yes you!) to make a trip to Mars. But you can't come back. 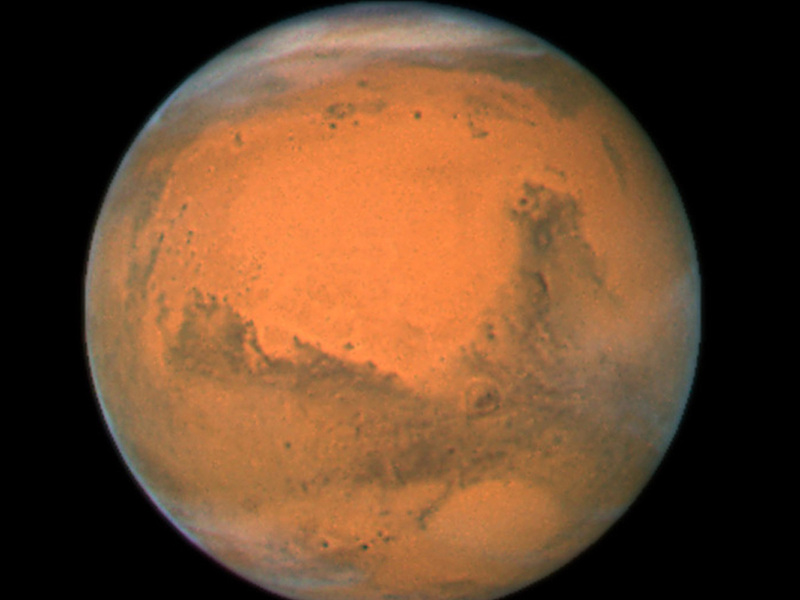 NASA's Hubble Space Telescope took this close-up of the red planet Mars when it was just 55 million miles away in 2007. In New York on Monday, a group of scientists and entrepreneurs launched a quixotic program that could allow you (yes you!) to make a trip to Mars. But you can't come back. The Mars One nonprofit organization announced that it is now open to applicants interested in making a commercially sponsored one-way mission to Mars. This isn't the first proposed Mars mission on the books. NASA has it as a long-term goal to send astronauts to the red planet. And space entrepreneur Dennis Tito recently announced plans to send a couple for a fly-by in 2018. It sounds crazy. But is it really crazier than shows about people who hunt alligators or drive trucks on roads of ice? Lansdorp says that he has consulted with Big Brother co-creator Paul Römer, who thinks that the show could work. Over the years, Lansdorp says, viewers will develop a close connection to the astronaut applicants. "That's why it will stay interesting for a very, very long time," he says. Lansdorp says that his biggest worry at the moment is his ability to raise the money needed to send rovers and supplies to Mars in advance of the 2023 landing. But he hopes that the astronaut application process will help to raise money. "We are already receiving a lot of interest from [broadcasters]," he says. The application itself might be a money-maker, too: It will cost U.S. residents $38 to put their name down for a one-way journey.